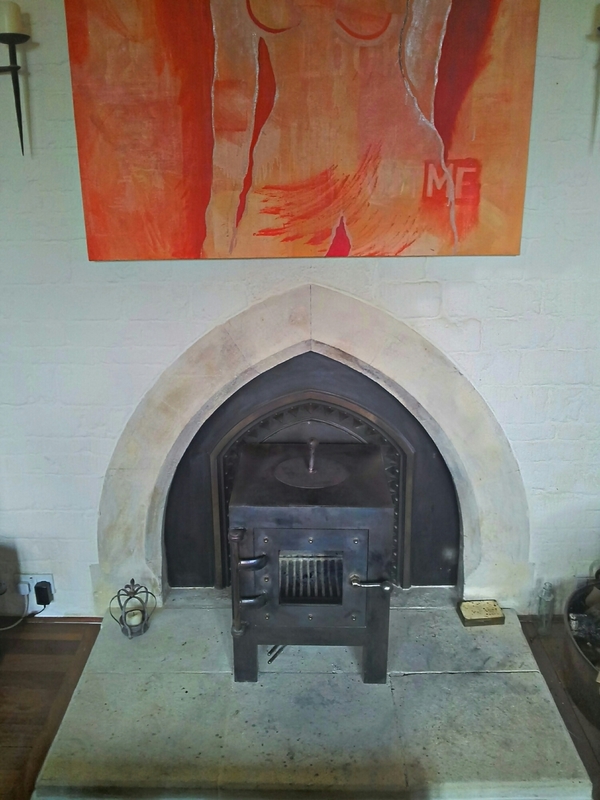 1 Metre high multifuel stove 100KG double burn. 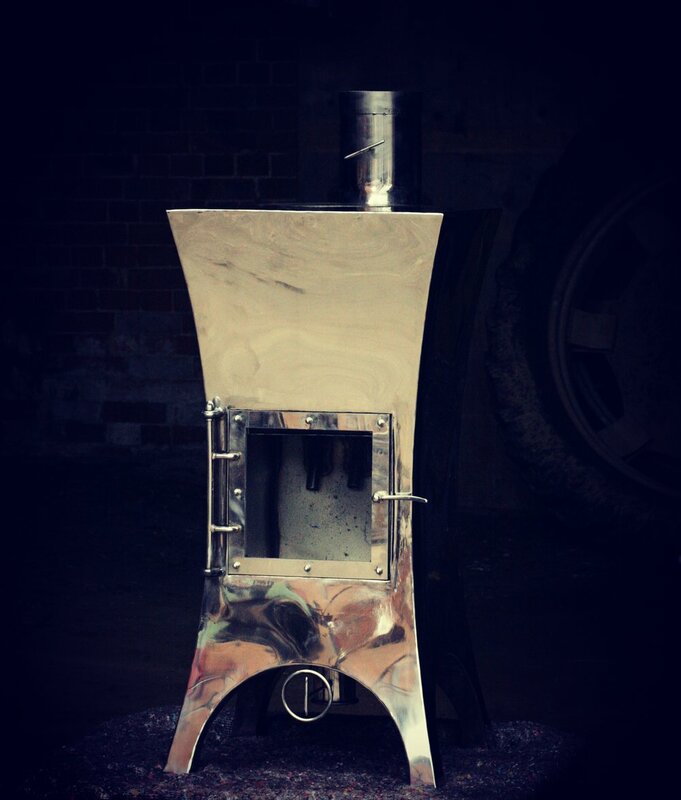 Models 800 & 900, 12 - 15KW+ in chrome & iron plate. 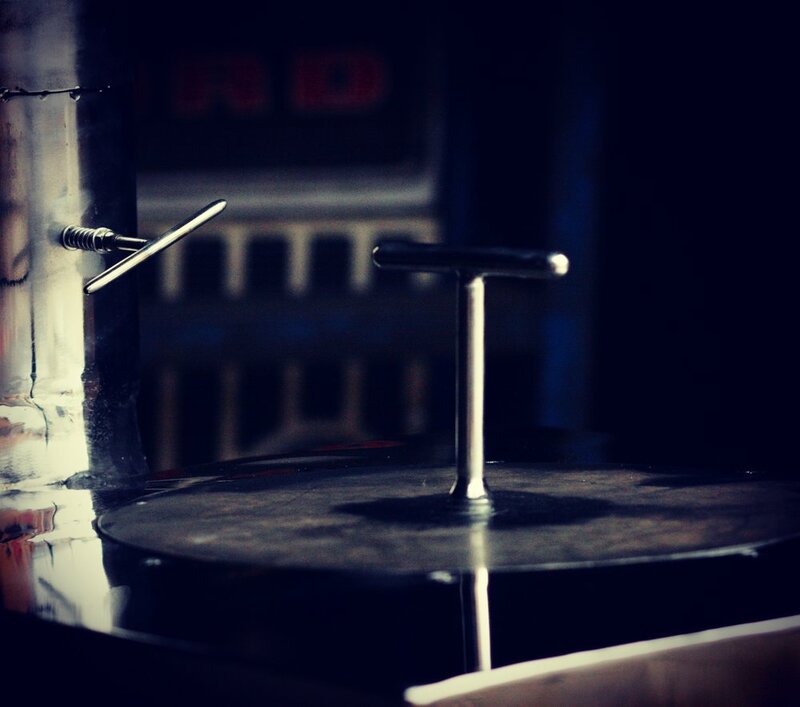 Finishing MK2 body - airvalve detail..
With stainless treadplate heatshield - Fin! 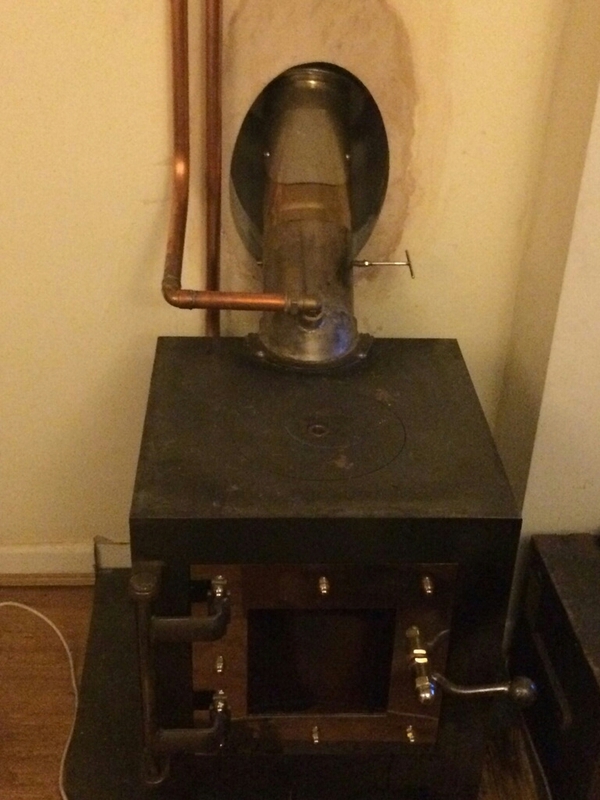 Construction in heavy boilerplate and refractory alloy - Seven 4" (100mm) pipes rise up through the back and out the bell mouthed vents at the front, heating cold air taken from under the base and projecting it hot into the room. 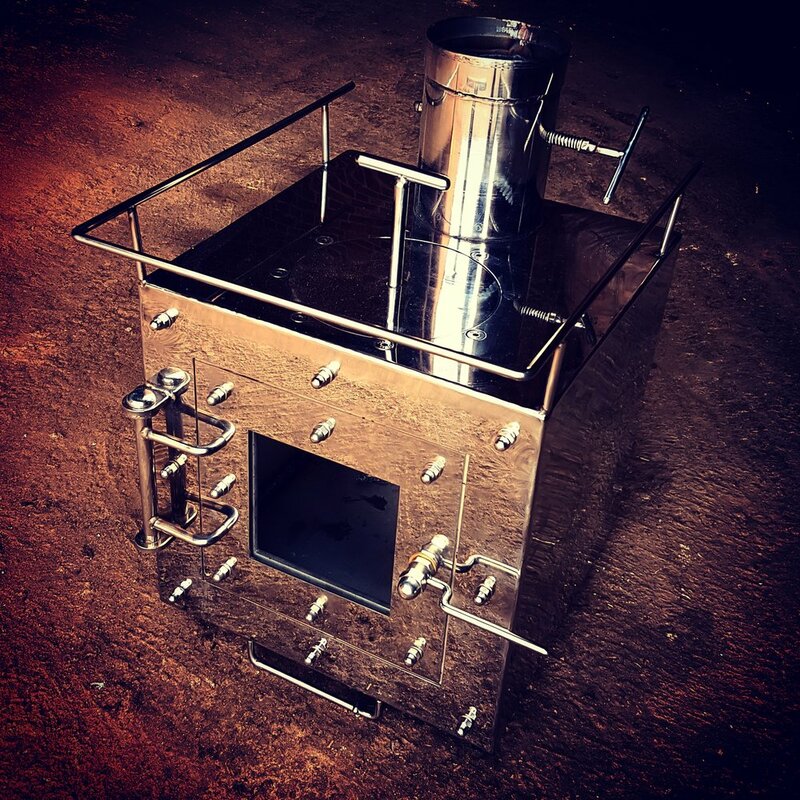 Designed for off-grid & boat use, this solid fuel cooker features a triple-burn multifuel burner with airwashed glass & large oven, two hotplates and a central heating boiler. Dimensions - 400 x 400 x 800mm wide (body) Leg length to your spec (recommend 200mm). Weight 95KG. 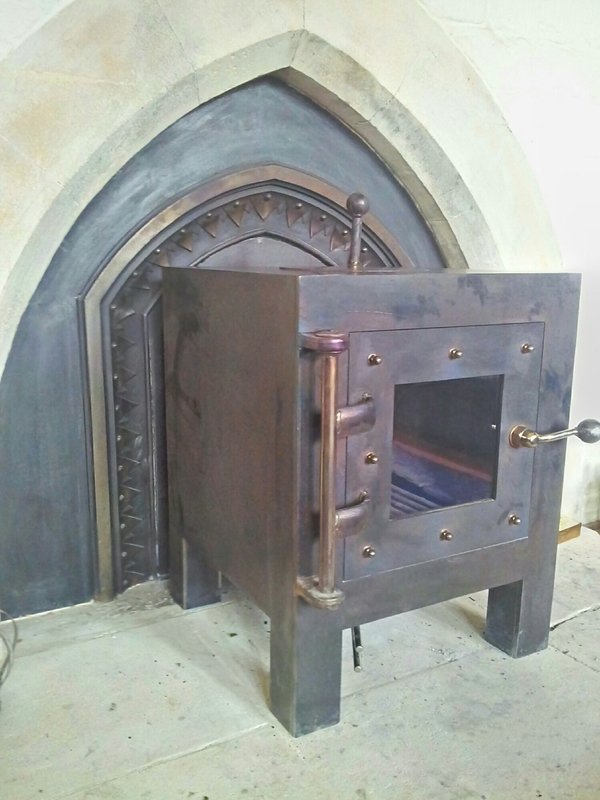 This solid fuel cooker features removable hobs, the larger L.H one for main cooking, the RH for simmering, there is also a balance control for heat to hobs vs oven (top offcentre), air inlet control (bottom left) and flue butterfly valve..
A commission to make an ancient range installed in the servants quarters of a grand Oxford town house functional again, this was accomplished by designing a modern clean-burn inset (centre) which also provides heat to the adjacent ovens, the bare inset is shown next image below. 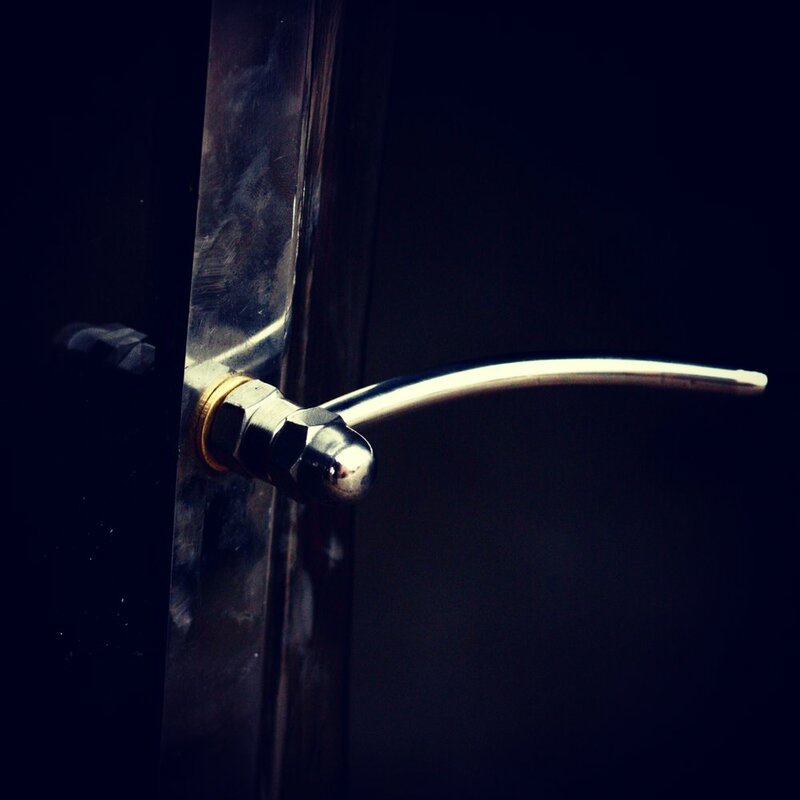 Plug-in firebox, door & ash drop mechanism assembly. 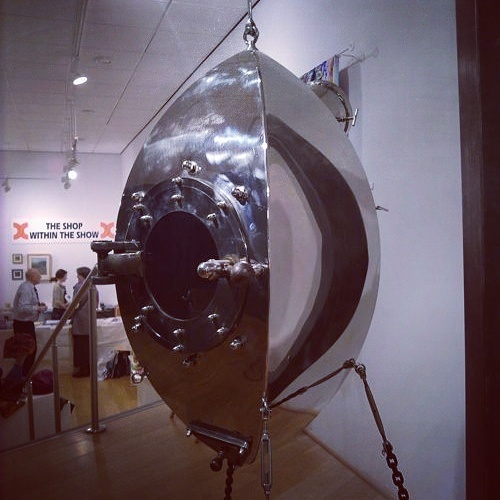 Rocket 1200 h/w in stainless..
original commission was suspended from the roof by nautical rigging and anchored to a 100KG+ washer one metre diameter, and three inches thick. 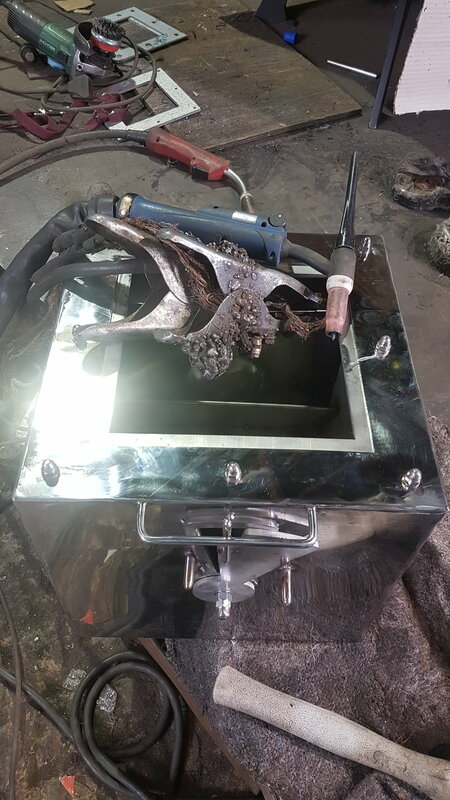 TIG welded stainless steel construction, the door components are profile cut heavy steel plate and there is a refractory stainless liner/heat exchanger to facilitate clean combustion & efficiency.